Empowering Girls and Teens to Find Their Voices: This is something that is especially important in today's world! Empowering Girls and Teens to Find Their Voices This is something that is especially important in today's world! The teen years can be confusing and frustrating, especially for girls trying to develop their own identity amidst the noise of culture, social media, and more. In Create Your Me Movement, teen girls can find a quiet space in a guided journal that empowers them to find their passions and use their voices. 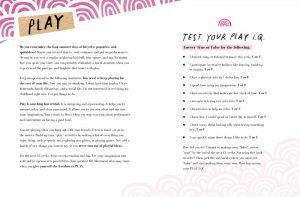 This collection of 52 weekly exercises and writing prompts guides girls through setting goals and standards, and determining ways to reach them. The guidance and encouragement from author and teen advocate Patricia Wooster is broken into four major categories: Play, Spirit, Strength, and Purpose. With weekly journaling assignments and thought-provoking quotes, girls will take the principles behind starting a social movement—advocacy, patience, developing relationships, and managing time and resources—and apply them to everyday life, fostering a sense of identity, confidence, and assurance in who they truly are. 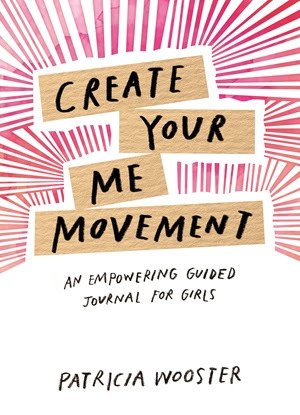 The perfect gift for the forward-thinking teen girl, Create Your Me Movement is an action-oriented tool dedicated to helping young women navigate their teen years and express themselves in a voice all their own. I really recommend this one for all teenage girls! I like how it is broken into the four major categories and I love how creative it is! It’s a great tool for girls during the teenage years. Self Disclosure: I received a free copy of this book and only feature books that I highly recommend. Images and press info was also provided to facilitate this post.